For World Heritage Day 2018, we put the spotlight on Scotland’s six amazing World Heritage sites, and launched a new YOYP project! You might have noticed we’ve been talking about ‘World Heritage’ quite a bit recently. 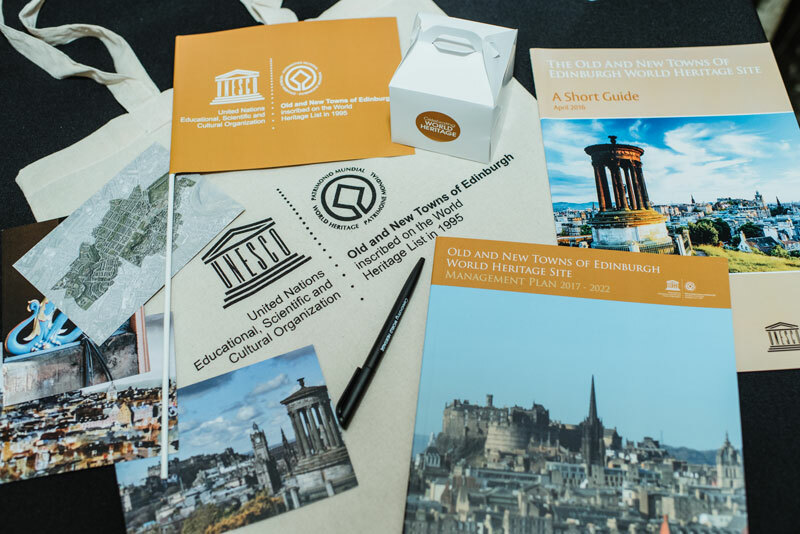 From hosting an event to celebrate Scotland’s six World Heritage Sites, to launching a plan for managing the Old and New Towns of Edinburgh (ONTE), we’ve been busy putting the spotlight on the importance of our culturally significant sites. We’ve also had a lot to say about Scotland’s Year of Young People (YOYP). It’s all about giving young people new opportunities to shine both locally and globally. 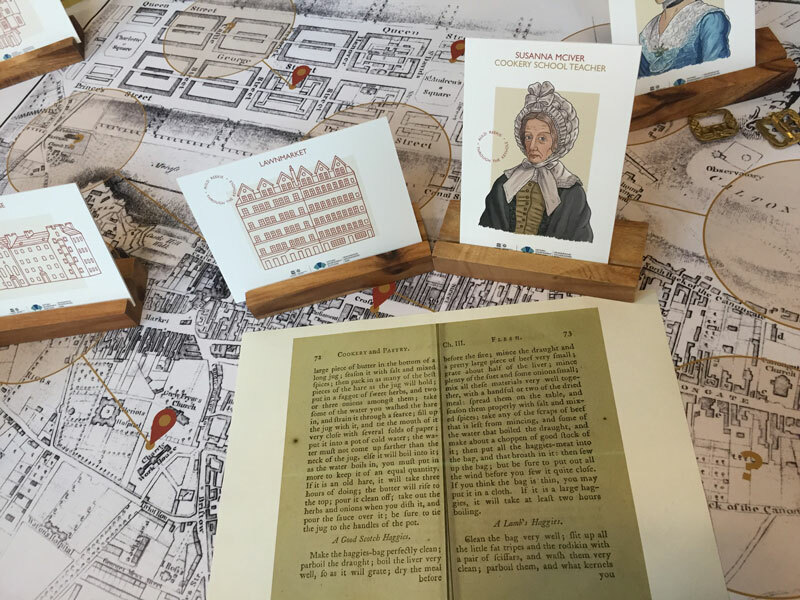 So as it’s World Heritage Day, what better time to tell you about our latest YOYP2018 project: ‘Auld Reekie Through the Keyhole’? We recently launched a new plan for the protection and management of Edinburgh’s Old and New Towns World Heritage Site. First of all, what do we mean by ‘World Heritage’, and why is it important? Heritage is what we inherit from the past, what we preserve today, and what we pass on to future generations. Our cultural and natural heritage are important sources of inspiration, and they help us to build a sense of identity. World Heritage sites can be natural or man-made areas or structures. They’re recognised by UNESCO as places of outstanding cultural, historical or scientific value. They hold international importance, and they require special protection. Each site has ‘Outstanding Universal Value’ – attributes which make it exceptional from a global perspective. World Heritage sites belong to all peoples of the world – no matter where they are located! 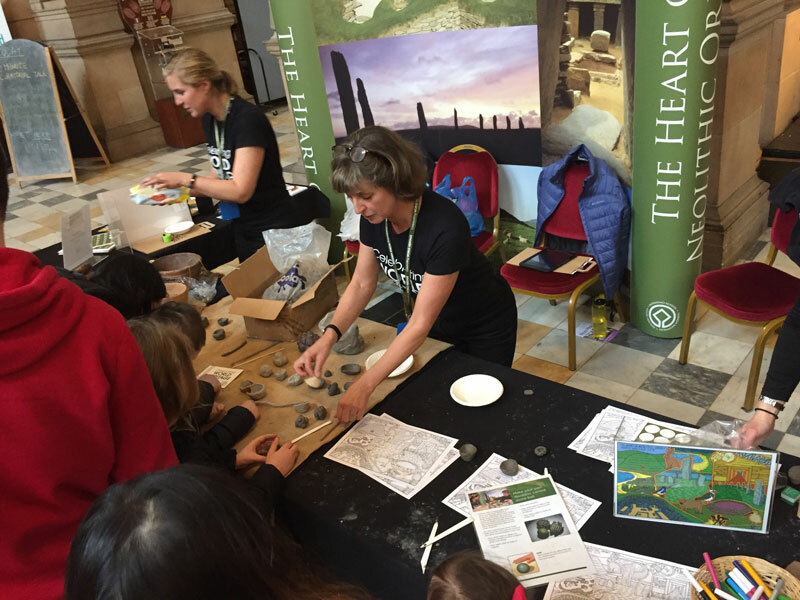 Activity stalls were non-stop at our ‘Celebrating World Heritage’ event! There was loads going on! We had families building St Kildan mail boats, tourists designing Neolithic pinch-pots, and even locals having a go at our guessing games about New Lanark. It wouldn’t be a celebration of World Heritage without our team from the Engine Shed! Virtual reality tours of Maeshowe Chambered Cairn proved particularly popular, and there were amazing examples of 3D laser scanning and printing on show as well. 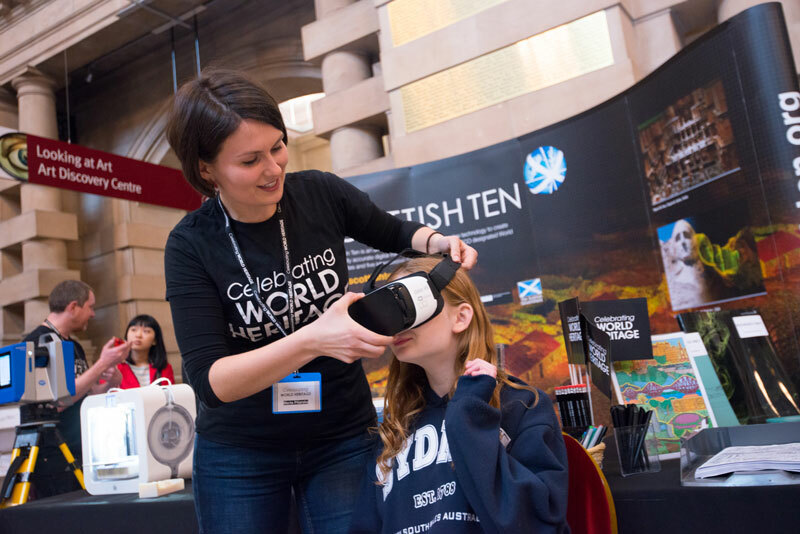 Visitors had the opportunity to see World Heritage Sites using virtual reality headsets. The newest addition to our World Heritage celebration was the launch of our latest YOYP2018 project, ‘Auld Reekie Through the Keyhole’. We all know Edinburgh draws in a lot of visitors – but sometimes it’s easy to forget that a large portion of the city is a World Heritage site. Okay, it’s hard to miss the Castle, but we don’t always think about the cultural significance of the places we live, go shopping, or even meet for coffee. How often do we stop to consider what’s unique about our capital city? 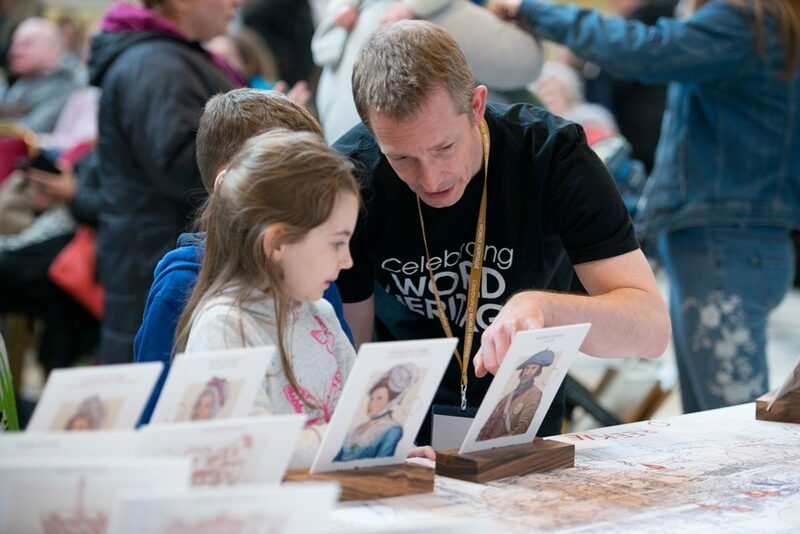 At Kelvingrove, we brought a big ol’ map of the Old and New Towns – and a specially designed box of 18th and 19th Century objects – in order to tell the stories of the characters and places that helped form the Old and New Towns of Edinburgh. ‘Auld Reekie Through the Keyhole’: Mrs McIver and Scotland’s first printed recipe for haggis! Taking a bit of Edinburgh to Glasgow is always good fun, and it was great to see young people having a go at our ONTE guessing game. It was then up to our younger visitors to express what this unique World Heritage Site means to them today. We’ll be developing ideas from the day into a series of events and activities throughout 2018 and beyond. So, watch this space! Keep an eye out for ‘Auld Reekie Through the Keyhole’ at this year’s Meadows Festival in June! Why not tell us what the Old and New Towns of Edinburgh World Heritage Site means to you? World Heritage Day takes place annually on the 18th April. It’s when we celebrate all the world’s cultures, raising awareness of important cultural monuments and sites, and championing their preservation. It’s a chance to get younger people involved, so that future generations can continue to enjoy them too! 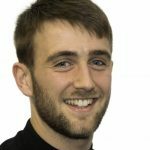 Scotland’s Year of Young People 2018 aims to inspire Scotland through its young people. We want to create new opportunities for young people to shine locally, nationally and globally. YOYP provides platforms for young people to have their views heard and acted upon, while showcasing their amazing talents through events and media. Keep up to date with the next phase of this YOYP project by subscribing to our blog! You can also catch the latest from across the country on the official Year of Young People website, and by following #YOYP2018 on social media!